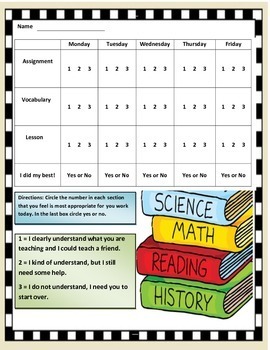 Self monitoring reading rubric for students to score themselves on their understanding of the skill taught each day. This sheet is for one week. As a teacher you will be able to check your students progress and determine which area you may want to cover again or speed up. I ALSO HAVE A WRITING RUBRIC IN MY STORE!